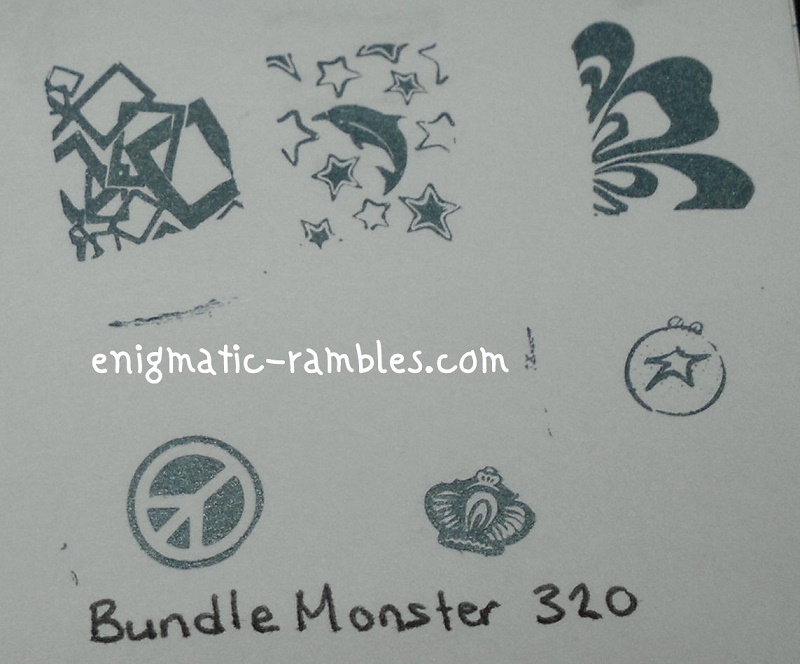 This stamping plate is from the third Bundle Monster set, from 2012. It is backed with branded lining to stop it from being sharp. This is useful, without it it is easy to slice open your fingers and palms which I have been known to do accidentally in the past with other stamping plates. 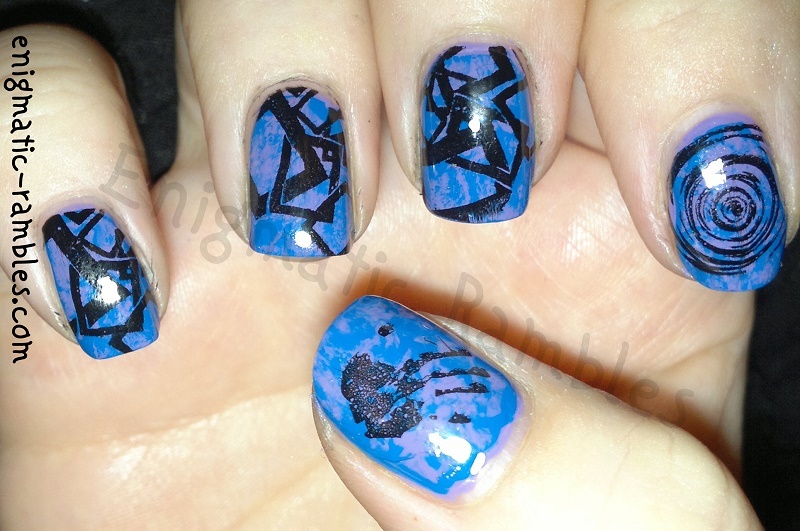 Three of these are full nail images and the other three are single images. 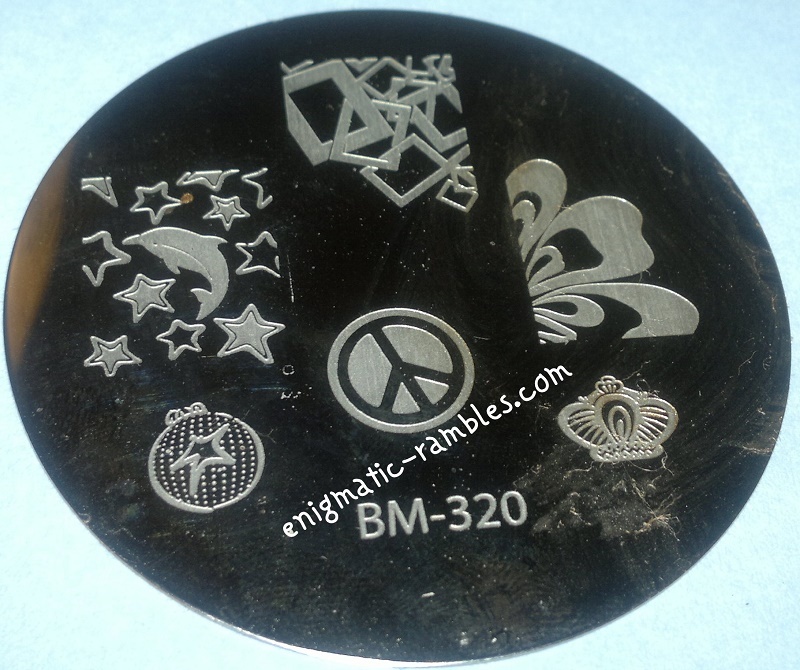 Five of these stamped easily but I had problems with the bottom right image. The bauble should have dots inside of it but no matter how many different ways I tried stamping they wouldn't come across. 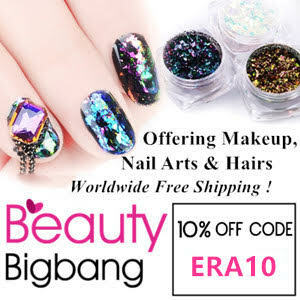 Below are the nail art designs I have done using BM320, you can find all of them by clicking here. 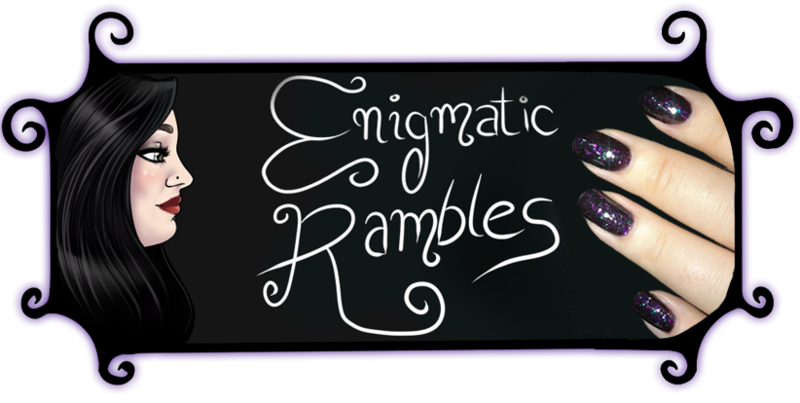 Nails: Enigmatic Rambles Turns Five!